← How do I love thee, Purple Sprouting Broccoli? This blog post is dedicated to my British and European readers on this side of ‘the pond’. 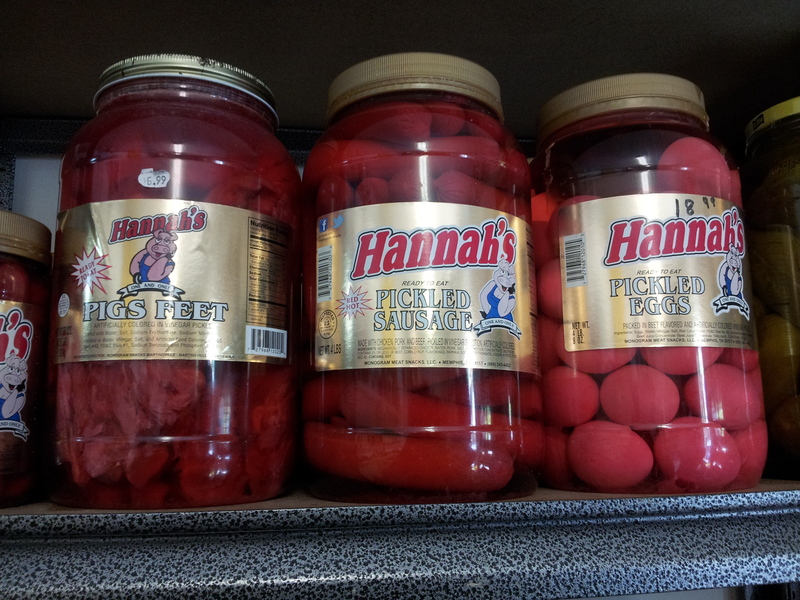 Friends, you may not believe me when I tell you my people eat pickled pigs feet. You may express chagrin at my tales of Appalachian country stores, and the wonders to behold there. Well, I’ve got some photographic evidence for you! 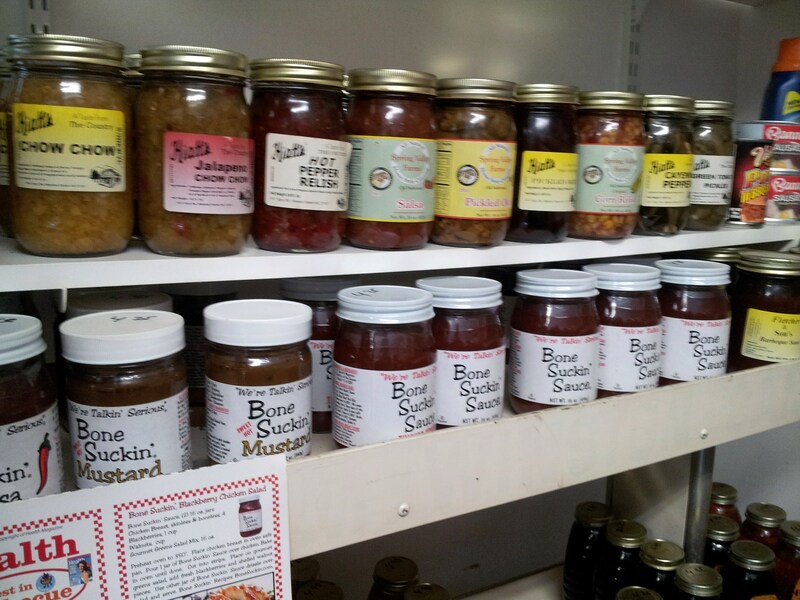 These were taken in a little country store in southwestern Virginia, along a highway. I felt a little bad taking the pictures without permission, so asked the store guy if it was ok. He was a bit stiff with his “yeah, sure” but lightened up a bit when I complimented his incredible selection of barbecue sauces. He was also the town mayor. I grew up believing that you could pickle anything, but that you only got two colours to choose from – Green and Pink. 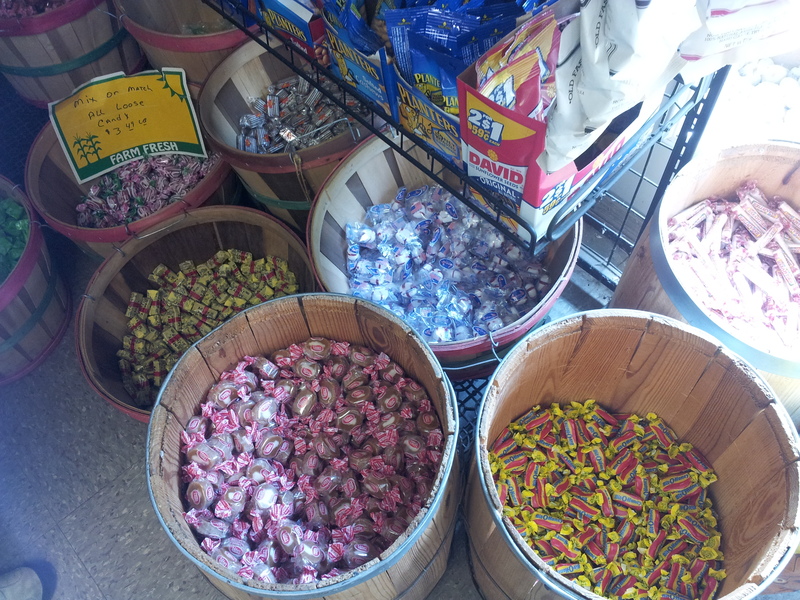 Old-skool candies from circa 1950s. The kind you hope not to find in your Halloween bucket when trick-or-treating. I always ended up with a Mary Jane or one of those crappy weird caramels with the caked white stuff in the middle. 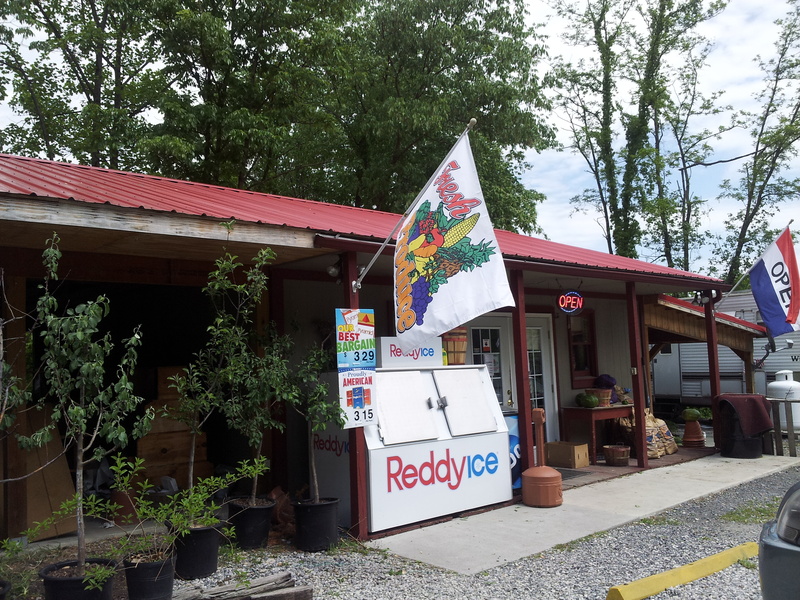 This entry was posted in Cooking and Cookery, Travel Adventures, Uncategorized and tagged Appalachia, country store. Bookmark the permalink. Take the bucket of ‘Smarties’, just burn the rest.